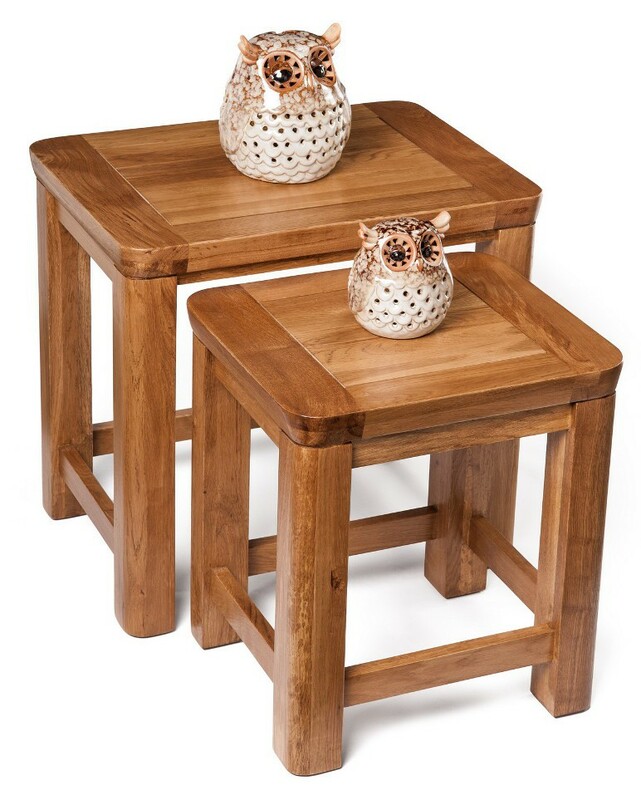 The London Oak Nest of Two Tables would be a smart and stylish addition to many rooms around the room. A compact and neat package, the larger of the two tables has dimensions of H52 W56 D40cm, with the smallest of the pair fitting snugly under. 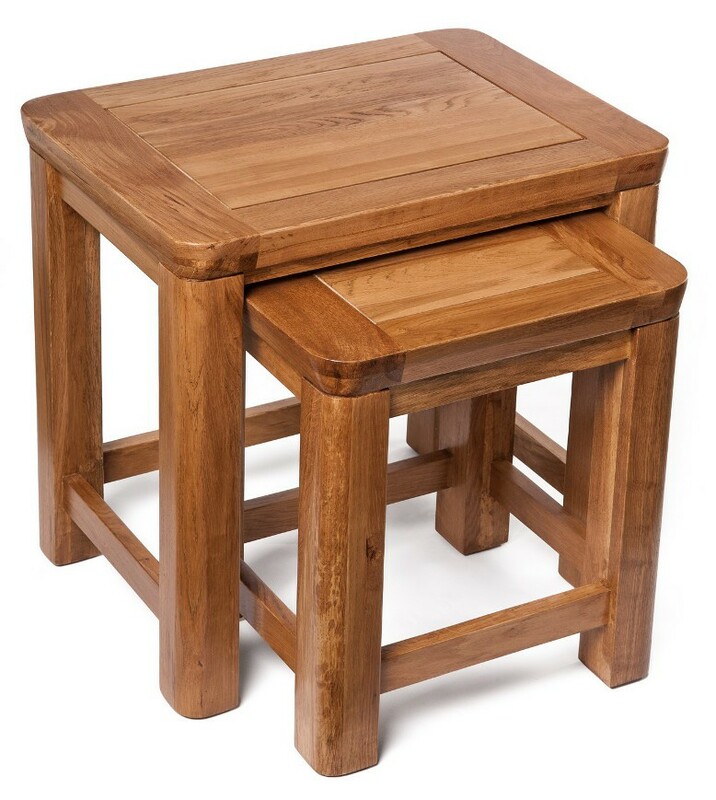 The solid oak nest of two tables is compact enough to position anywhere in a room - snugly in a corner or beside a chair, the choice is yours. Wherever and however you choose to accommodate this neat package, it is guaranteed to look fabulous. 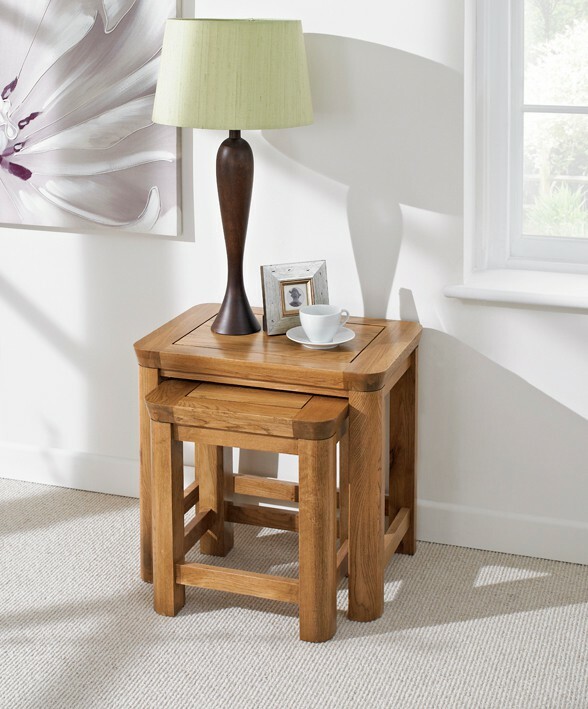 The grain of the 100% solid oak has timeless appeal and offers a rustic feel that will look fantastic in any room. The London Oak Nest of Two Tables can be used as a makeshift coffee table and it would make an excellent place to position a vase or ornament. The hard-wearing lacquer finish and smooth contoured edging provides a durable and appealing touch to the oak nest.